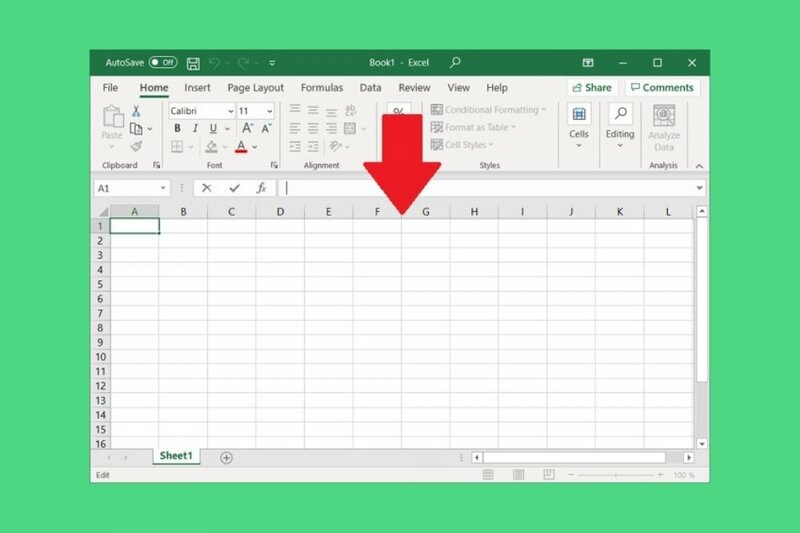 Step 1: open Excel and create a new document by going to Blank workbook. Step 2: become familiar with the different functions shown on the upper bar: File, Home, Insert, Page Layout, Formulas, Data, Review, and View. Step 3: it’s a good idea to get used to the terminology of this tool. Words of the likes of Row (section that crosses the screen from left to right), Column (section that crosses from top to bottom) or Cell (any individual square on the spreadsheet to insert data) are elements that you’ll have to master. Step 4: rename the spreadsheet (each workbook has 3 by default) by right clicking with your mouse. Step 5: write the name on each cell of the upper part to know what data you’ll store in each column. Step 6: save the changes quite often. From here on, you’ll have to start inserting and managing data on the spreadsheet and carry out all sorts of calculations, whether basic or complex, to then create charts to display that data graphically. The truth is that how you choose to use it will greatly depend on the kind of data and the purpose with which you’ve decided to work with an Excel spreadsheet. Excel Portable: can it be downloaded? What is Excel and what's it for? What is a range in Excel?